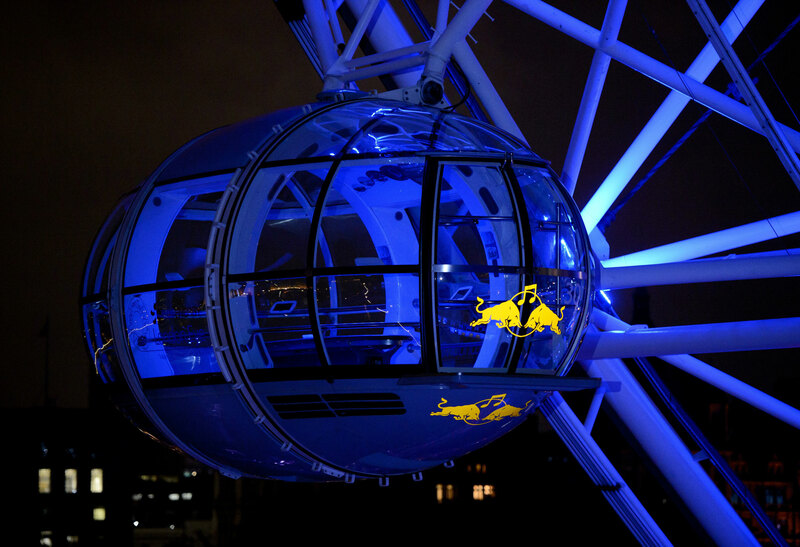 Red Bull selected Octink to apply display graphics to each and every pod on the London Eye for their Red Bull Revolutions in Sound event. 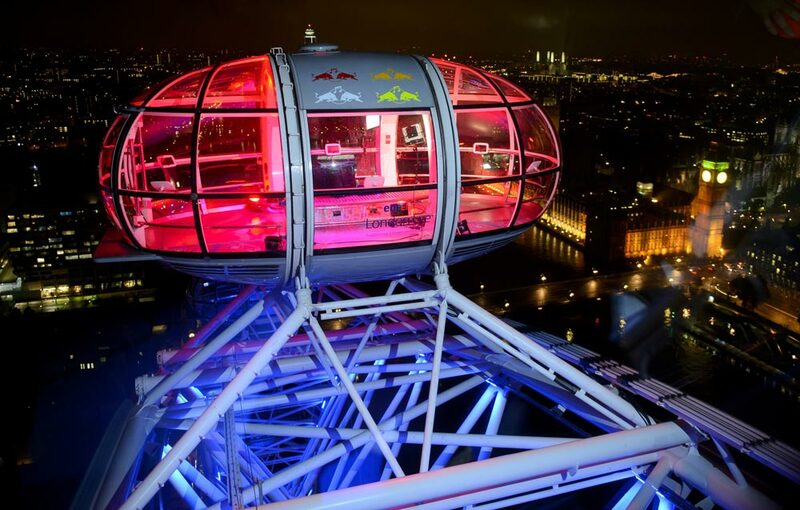 The night brought together 30 of the most legendary UK club nights of past and present together for one landmark occasion. 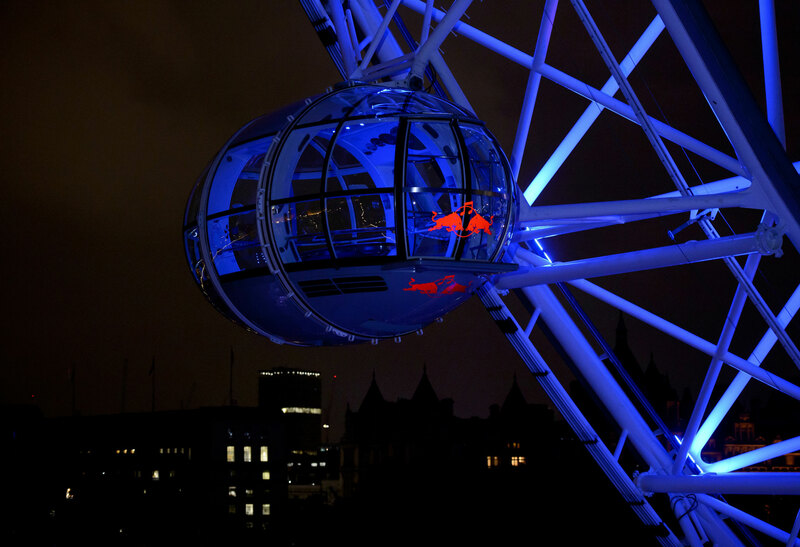 Each capsule on the Eye was designed with distinctive Red Bull vinyl decals applied inside and out, with the Octink team fulfilling the challenge of a fast install safely and with great effect. 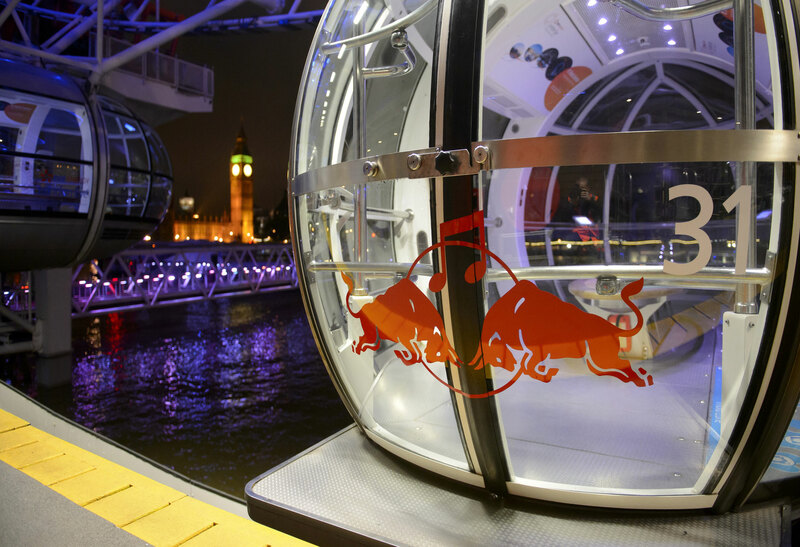 The Red Bull Revolutions in Sound project joins the Red Bull Cliff Diving World Series as the latest event where Octink has delivered challenging graphic overlays for key high profile events.